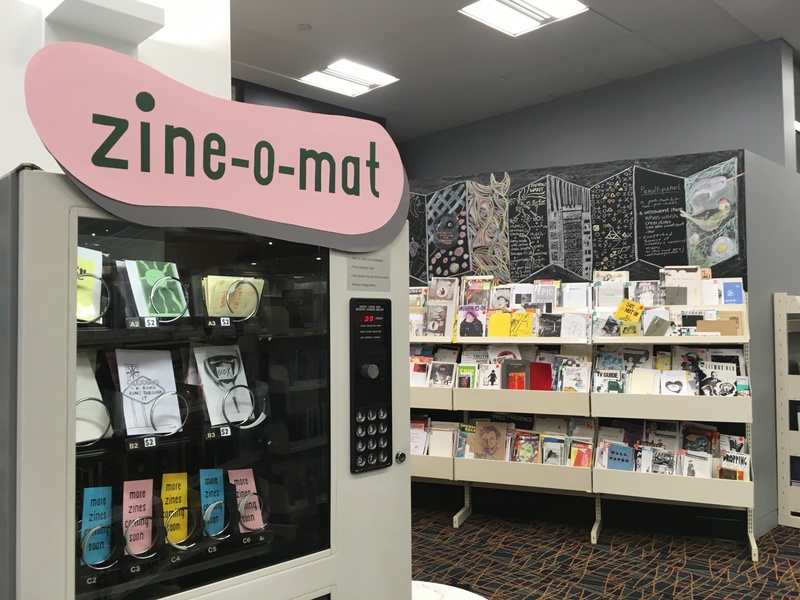 The Zine-o-Mat is a zine gallery in the form of a vending machine. 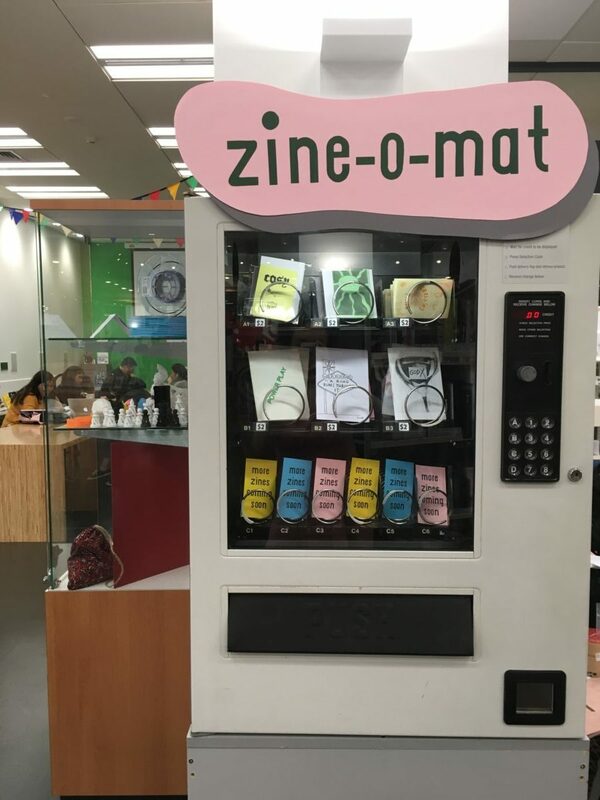 The Zine-o-Mat turned a retired Snackmate vending machine into a way to get more zines into the hands of more people. The kaupapa behind the project is to make self-publishing more accessible, and prioritises showcasing marginalised, queer and POC voices. It currently lives at Auckland Libraries’ Central City Library branch. 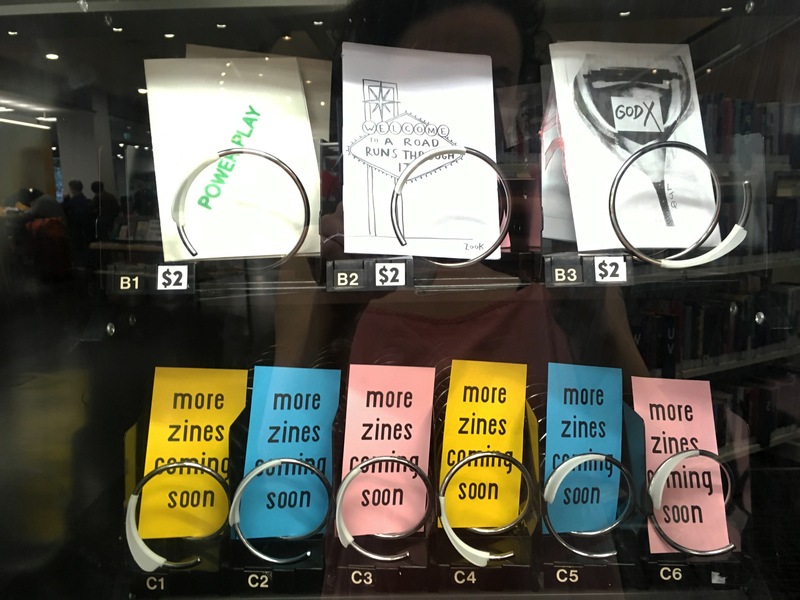 To have your zine included in the project, click here.